THE HERO stars the legendary Sam Elliott as an aging actor confronting mortality. Lee Hayden (Elliott) is a Western icon with a golden voice, but his best performances are decades behind him. He spends his days reliving old glories and smoking too much weed with his former-co-star-turned-dealer, Jeremy (Nick Offerman), until a surprise cancer diagnosis brings his priorities into sharp focus. 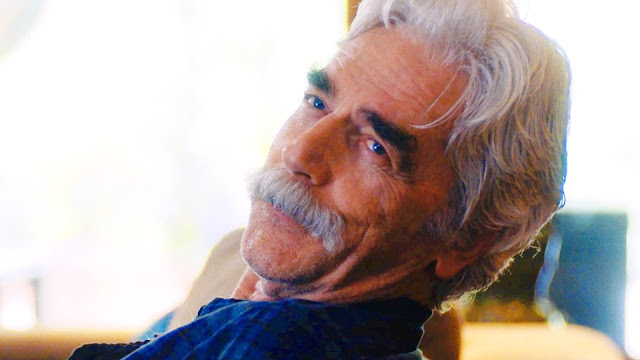 For those of you who are no strange to Sam Elliott, pictured above, then you already know that your ears will be in for a treat during this movie. If you haven't heard Sam Elliott talk, I highly encourage you to start the movie trailer about, and just listen to what he sounds like. You will want to watch this movie just based on what you hear. The movie itself is surprisingly good. It has that low budget feel, which is probably because it is a lower budget film, that you can not deny seems to gel so well. The movie has a good base for a story, and it keeps the audience involved for them to want to see more that is going on. 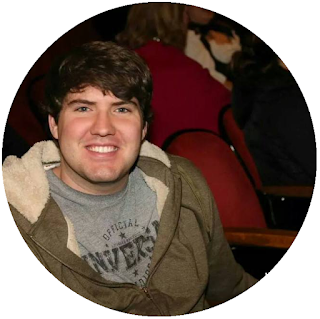 The movie keeps your eyes on it, and your mind interested enough to want to see it through. Nick Offerman has a very small role in this movie, and you will be shocked for the role that he plays. With out spoiling too much, Ron Swanson would be upset with the character he plays in this movie. It is something you wouldn't think Nick Offerman would agree with, but maybe he would because he is such an outdoors men. All in all, if you get the chance to see this film, you should take it. It is interesting how it goes, and it is interesting how it ends. The ending was not my favorite style of an ending, but it seemed to work for this film. Comment below if you liked the ending of this movie.